We venture into the functional and evolutionary aspects of microbial symbiosis. Bees of the genus Apis (honey bee) and Bombus (bumble bee) harbor relatively simple, but highly specific bacterial communities in their guts. This makes them ideal model systems to study a wide range of questions regarding gut microbiology and microbial symbiosis. Some of the questions we are particularly interested in are: How do characteristic gut communities evolve? What is the genetic basis of microbial symbiosis in the gut? And, how do different gut bacteria influence host biology and community dynamics? Our research also aims to provide a better understanding of the impact of the gut microbiota on bee health. Bees are important pollinators in almost all terrestrial ecosystems and in agriculture, and recent population declines have alarmed the bee keeping industry and scientists all over the world. Therefore, a better understanding of the different factors influencing bee health is urgently needed. The gut microbiota likely displays one important factor that has been overlooked for a long time. We combine experimental and computational approaches in our laboratory. We use classical microbiology and molecular biology techniques, study honey bees under laboratory conditions as well as in their natural environment, exploit cutting-edge genomics and next-generation sequencing technologies, and collaborate with other scientists in Switzerland and around the globe. 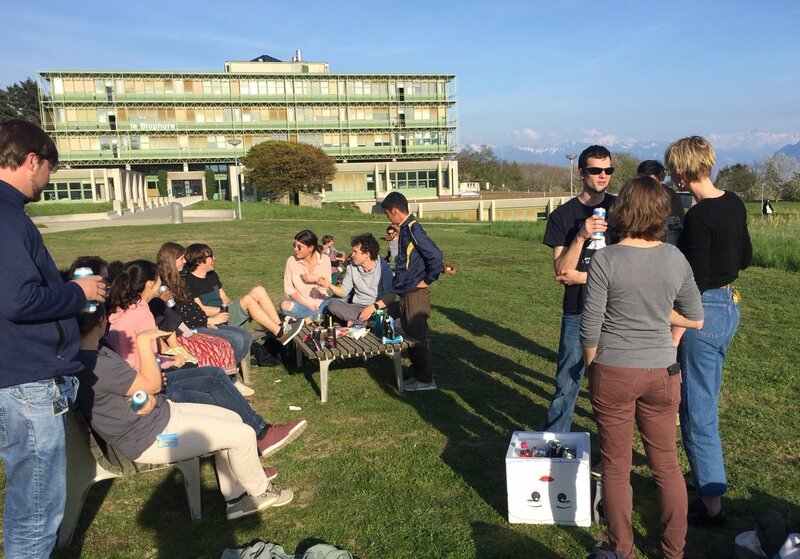 Our laboratory is located at the Department of Fundamental Microbiology at the University of Lausanne providing an excellent environment for collaborations and interdisciplinary research and with a great view over the lake of Geneva and the Swiss Alps.